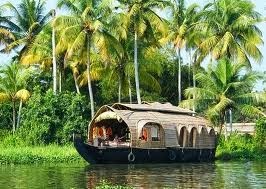 Kerala being a dreamspot of many, it’s also called as God’s own country. This land is gifted with many lagoons and palm trees and anyone who visits here will just lose themselves in the land of beauty and that’s why we have selected this part to render you more information’s. Munnar, the land of beauty no doubtingly, still exists its old charm in the city. It resides 1600 m above the sea level. The city consists of many little cottages, bungalows, to reside and its being a summer tourists spot. You could find much adventurous game like trekking, hill climbing where people can enjoy in the safest ways of it. The city is totally filled with tea and coffee plantations. 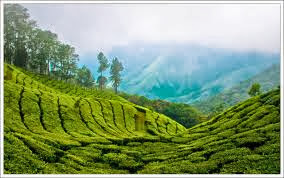 Munnar though certain are man created spots but wayanad shows the total natural beauty of the place. Kerala tourism offers many packages during their stay. The mountains, the winding lanes and the thick forests on either side give you an ethereal experience. And people if you are lucky enough you can even watch out the leopard in wild life sanctuary .The Edakkal caves which presents an awe full treat to the people eyes by presenting 4000 year old paintings. It also offers homely stay at resorts and adventurous trekking , mountain climbing and few others too. Trivandrum is other important place to visit, where it produces variety of beaches to visit, Kovalam beach is other important beach to enjoy with. There are few other places like Kanyakumari where you can watch both sunrise and sunset. It also offers other beaches to visit. You can reach the place via road, Rail and through air too. Anyone who really wants to releave their stress from, they can visit kumarakom. It offers resort with good cultural programs, shows the rich culture of Kerala. The resort also arranges good spicy Indian food. Kumarakom offers good serine beauty; you can enjoy the silence there and releave your stress. Mode of transportation is through rail and road.